A primer for typography packed with tips and insights on how to work with type. 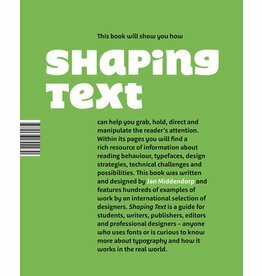 It is aimed at design students and graphic designers, and also at those who are concerned with content: writers, editors and publishers. Een inleiding voor lettergebruikers: ontwerpers, auteurs, redacteuren en studenten.